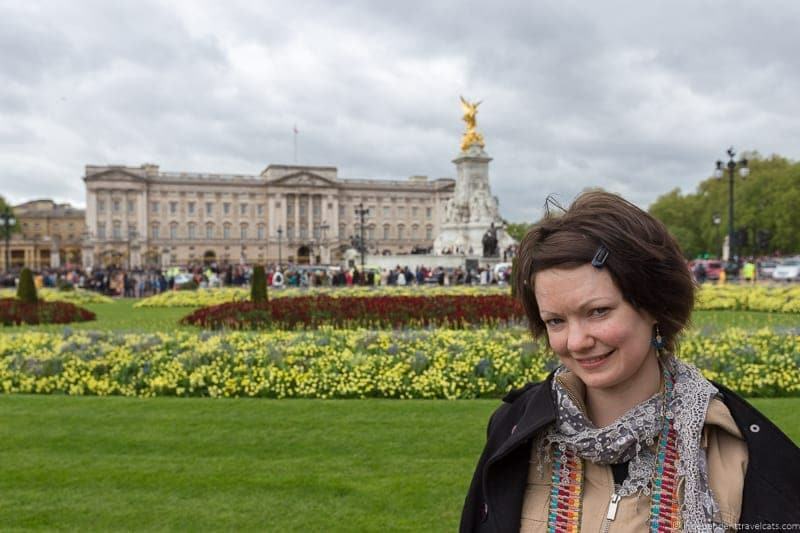 During my first visit to London, Laurence and I did a full-day London walking tour to get a good orientation of the city and see some of the most iconic sites. 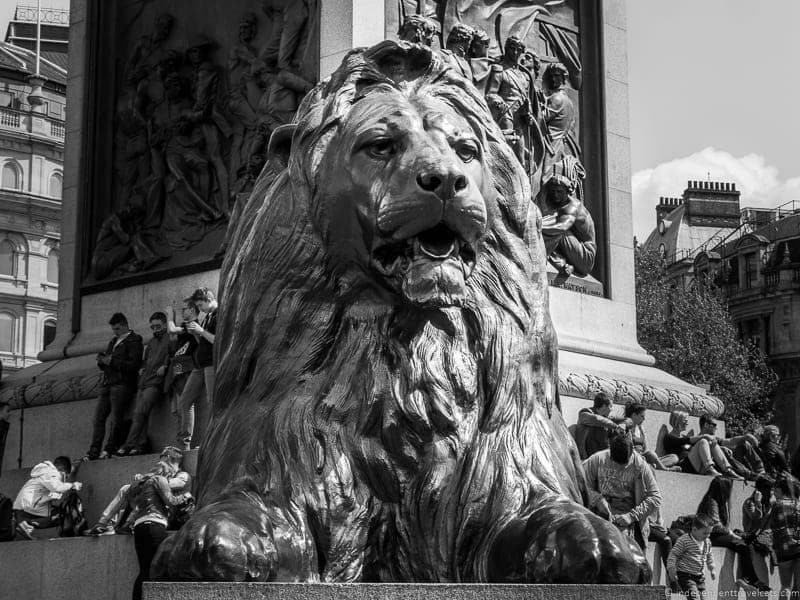 The walking tour takes you through the heart of the capital city and during the day we saw so many recognizable landmarks, including the Tower of London, Buckingham Palace, Trafalgar Square, Downing Street, Westminster Abbey, and the Houses of Parliament. In addition to seeing all these iconic London sights, we also got to visit and partake in some fun London experiences, including a visit to the Tower of London before the crowds, a short boat ride on the River Thames, witnessing the Changing of the Guard in front of Buckingham Palace, and savoring a formal afternoon tea in a London hotel. We’ll share what we saw and did during this City Wonders Best of London walking tour, everything you need to know to book this tour yourself, and our overall thoughts on this tour. We were invited by City Wonders to try some of their walking and bus tours during my (Jess) first visit to the UK. City Wonders is a tour operator that began in 2004 leading small groups on walking tours of Rome, Italy. After becoming a major tour operator in Italy (they are particularly known for their their Vatican tours), the company expanded to include a number of additional cities, including Venice, Milan, Paris, and London. The company focuses on creating high quality tours with knowledgeable guides, delivering tours in only one language on each tour, small group sizes, and excellent customer service. We also did a day trip to Stonehenge and the Cotswolds with City Wonders which you can read a full review of on Finding the Universe, so we already had a good experience with this tour company. 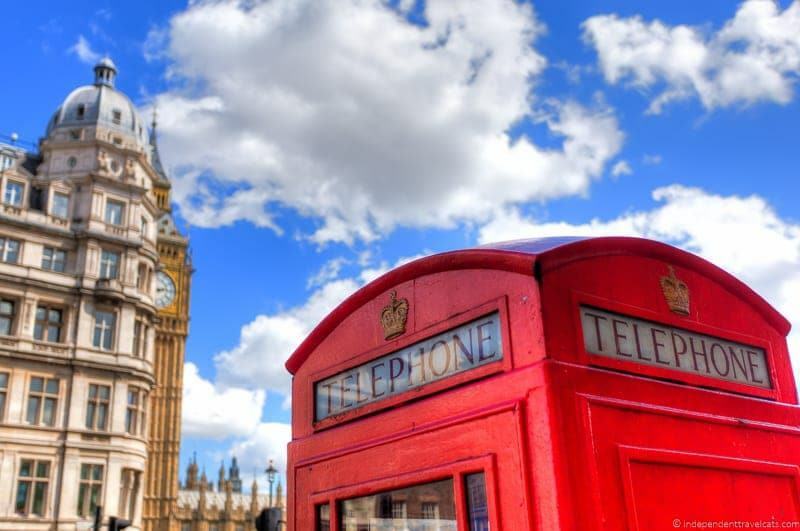 In London, we chose this full-day Best of London walking tour, which included the highlights of Westminster, a visit to the Tower of London, a short boat ride on the Thames, the Changing of the Guard ceremony, and even afternoon tea. 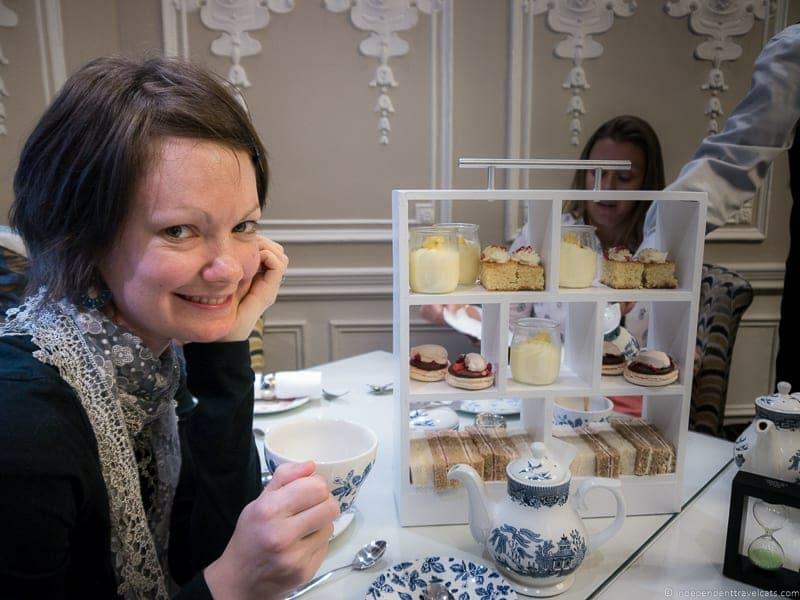 This was actually a cost-savings combo tours of two separate half day tours offered by City Wonders: Best of Royal London tour and the Highlights of London with English Afternoon Tea. So if you have less time, you might consider doing one or the other. So we’ll now described our London walking tour and all its highlights below to find out if this is a good walking tour for you. If you are wanting to put together your own independent London walking tour, this should give you some good ideas! Surprisingly, my first visit to London took place only in Spring 2015! Laurence had grown up in the United Kingdom and lived in London for a couple of years, but for me it was my first time experiencing this famous capital. We thought it would be a great idea to do a London walking tour so that I could get my bearings of this large city and see some of the highlights. After we had booked this tour, we received a confirmation voucher via email with the tour information and meeting time and place. Laurence and I arrived around 8:15am outside the ticket office for the Tower of London. We were greeted by our friendly tour guide named Shabby who we quickly learned was quite the entertaining character, and we were also joined by two young coffee-toting American ladies. Admittedly, the weather was not great during the morning (lots of cloudy gray photos sadly) but we felt very lucky to have such a small group of only four people (typically groups are larger)! 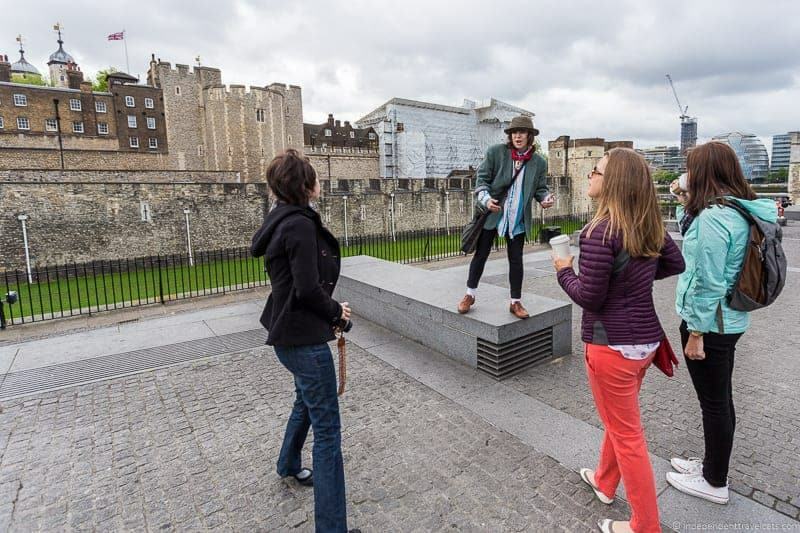 Our tour began promptly at 8:30 with an introduction to the day’s itinerary and more about the history of the infamous Tower of London. The Tower of London was the start of our London walking tour with City Wonders and probably the highlight of the tour for us. This is one of London’s UNESCO world heritage sites and it has served as a fortress, prison, armory, Royal Mint, and place of execution among other uses during its long history. 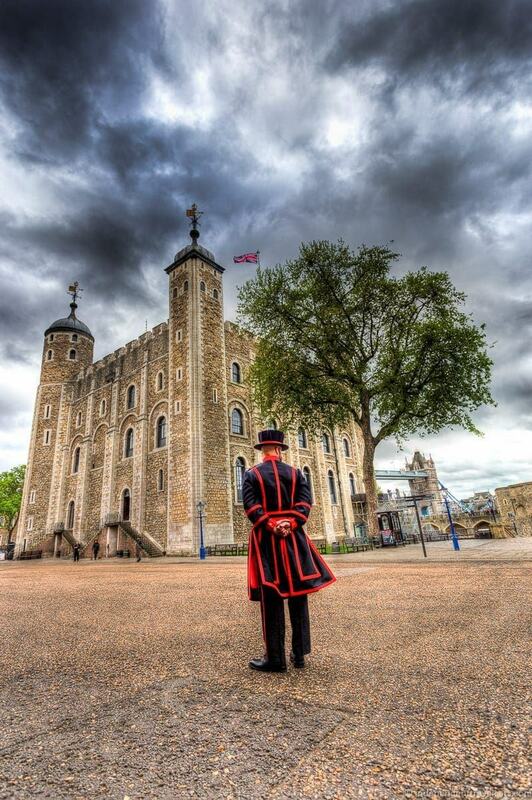 It currently holds the Crown Jewels which have been housed in the Tower of London for centuries. Our group was among the first people let into the Tower of London that morning which is a special feature of the tour. Shabby, our guide, did not accompany us into the fortress but gave us information about the Tower outside and then gave us tips to guide our visit inside since people had different priorities in what they wanted to see. Laurence and I were the first to see the Crown Jewels that morning which often require a patient wait behind a long line of people. 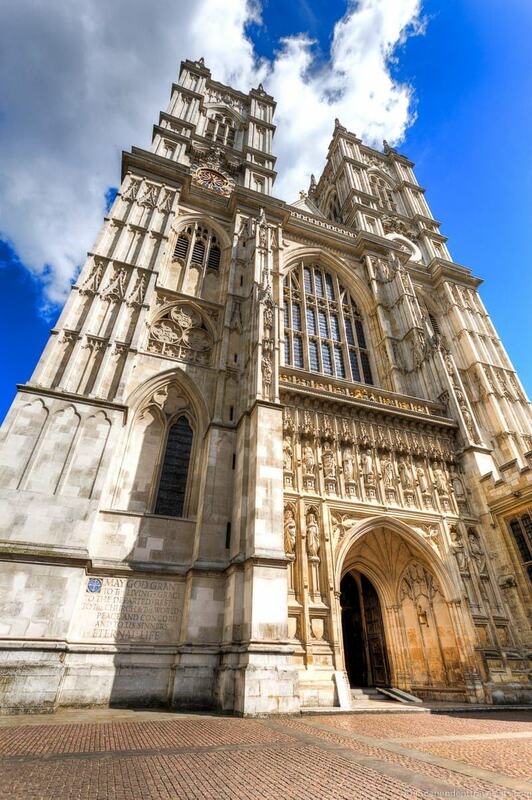 The Crown Jewels are definitely the most popular thing to see, but you could spend all day visiting the various exhibits, buildings, and museums within the complex. For instance the White Tower (oldest part of the complex) built by William the Conqueror is a must-see place and you can also see and learn about the Tower’s famous ravens, visit the Medieval Palace, take a short guided tour with one of the Yeomen Warders (Beefeaters), walk sections of the medieval walls, learn more about the executions at the Tower, or visit the Fusilier Museum which provides the history of the British infantry regiment. Obviously, you won’t have time to do all these things on the walking tour. We saw the Crown Jewels, visited the White Tower, and saw the Tower Green and execution site during our time. This is definitely a place I’d like to return to again! After our visit to the Tower of London, we walked a short distance to catch one of the boat shuttles that goes up and down the River Thames. Although it was a relatively short boat ride, it gave us some time to relax while Shabby pointed out notable sights along the way to our next destination. During our Thames ride Shabby explained to us that we would be spending our time in Westminster, which is a distinct section of London that constitutes its own city: the City of Westminster. 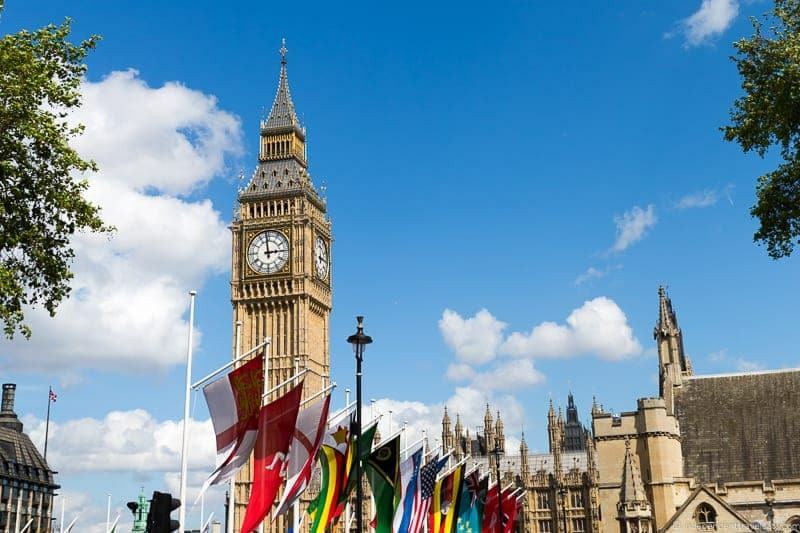 Westminster contains many of the most famous London tourist attractions, including Buckingham Palace, Trafalgar Square, Downing Street, Piccadilly Circus, Houses of Parliament, Westminster Abbey, and Hyde Park. This was a new fact for me! Probably the most famous place in the United Kingdom, Buckingham Palace serves as the current primary London workplace and residence for the reigning sovereign of the United Kingdom. It was originally built as a private residence by the Duke of Buckingham (hence the name) in the early 18th century, but was later acquired by British royalty and expanded over time. During our visit Queen Elizabeth II was not in residence, as indicated by the flying of the Union Flag instead of the Royal Standard above the palace. 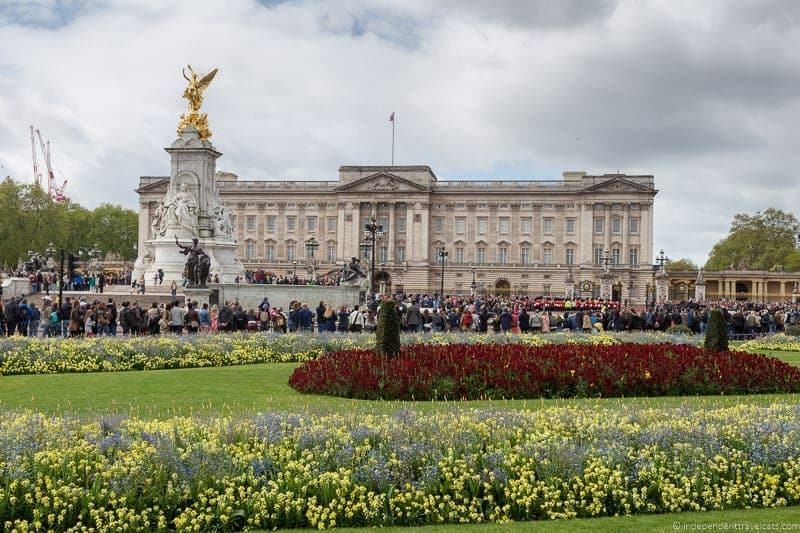 However, we were not able to actually visit Buckingham Palace during our time in London as the palace is only open for public visits for about 8 weeks per year (generally August and September), but I would love to visit next summer! 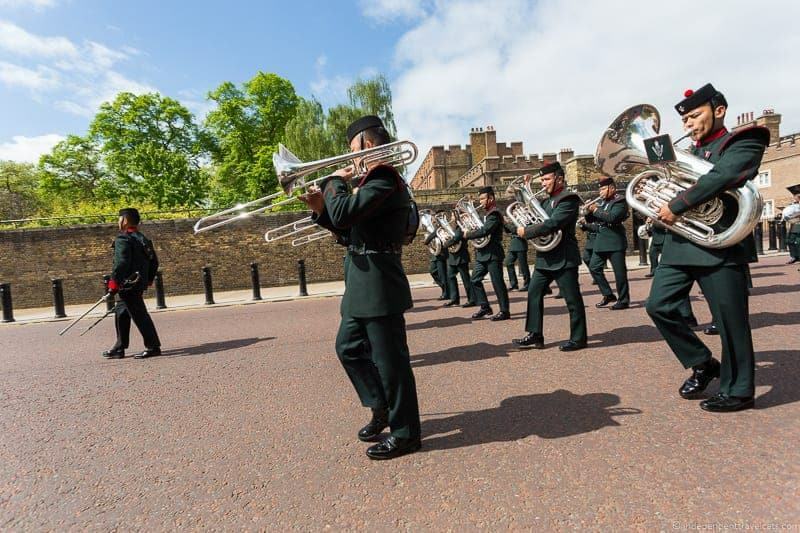 Depending on the day you book the tour (as well as weather and security conditions) you will see either the Changing of the Queen’s Guard at the forecourt of Buckingham Palace or the changing of the Queen’s Life Guard at the Horse Guards Parade. The space in front of Buckingham Palace is always crowded during the time of the changing of the guard and so Shabby took us to a spot in front of St. James’ Palace where we got very close to some of the regiments, including the Nepalese Brigade of Gurkhas that were part of the Changing of the Guard ceremony that day. After the changing of the guard, we were able to get a much closer look at the palace and then we also visited the Royal Mews (royal collection of historic carriages and coaches) next door during our tour break since we had a 2-day London Pass (read our detailed London Pass review to find out if it worth buying for your trip). The second half of our tour began with a walk to Trafalgar Square. 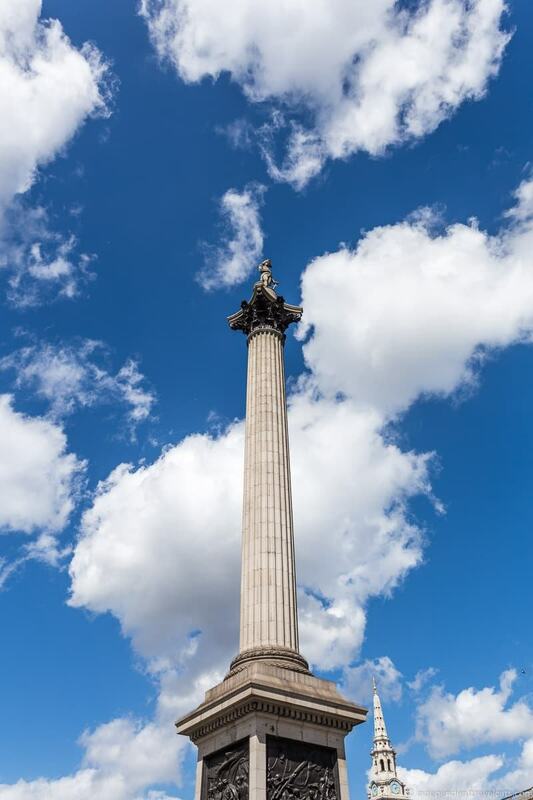 This famous public square contains Nelson’s Column, built to commemorate Admiral Horatio Nelson who died at the Battle of Trafalgar, at its center which is guarded by the four famous bronze lion statues. 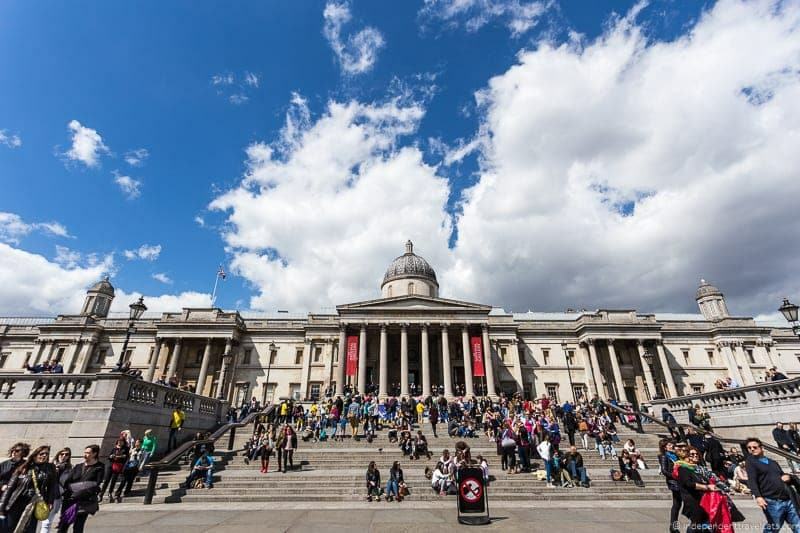 Here we learned from Shabby a bit about Trafalgar Square and some of the famous sights that surround the square, including the National Gallery, St Martin-in-the-Fields Church, and the Strand. Perhaps the most famous square in London, this green square is surrounded by a number of iconic sites as well as a number of administrative buildings, including Westminster Abbey, the Palace of Westminster, the Supreme Court, and many government buildings of Whitehall. The Palace of Westminster, also know as the Houses of Parliament, is the meeting place for the British Parliament (both the House of Commons and the House of Lords) and most recognizable for its Elizabeth Tower, better known as Big Ben. Few visitors actually know that Big Ben is actually the name originally given only to the large bell within the clock tower while the tower itself is officially known as Elizabeth Tower. Parliament Square also contains a number of statues of famous people, including Winston Churchill, Abraham Lincoln, and Nelson Mandela. 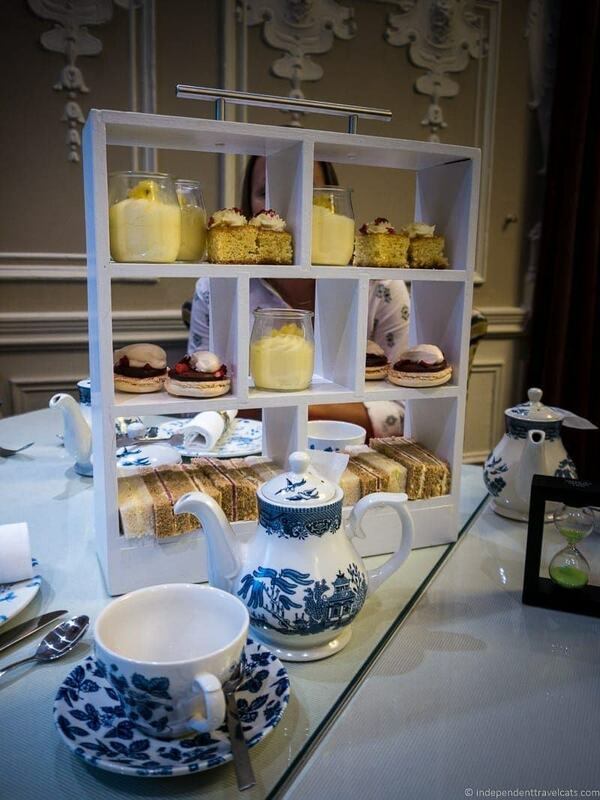 At the end of the day, Shabby led us to the St. Ermin’s Hotel. This beautiful four-star hotel was originally built as a mansion block in the late 1800’s and later turned into a hotel. 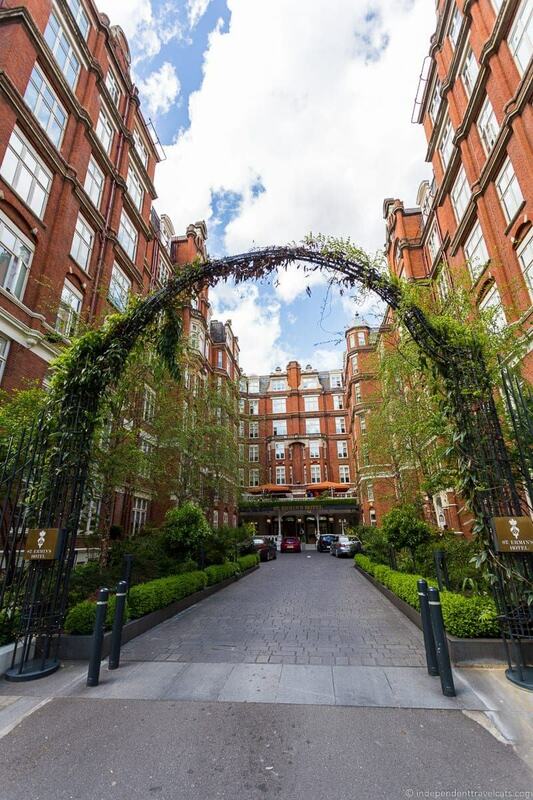 The hotel has a notable connection with the UK secret intelligence agencies that you’ll learn about on the tour. It was here in the hotel’s Tea Lounge that we had a traditional English tea, complete with tea sandwiches, pastries, scones, jam, and clotted cream. After being seated and talking a bit with Shabby about the tradition of afternoon tea and reviewing our day, she left us to enjoy our tea experience for as long as we wished. A nice ending to a full day of touring London! The full-day Best of London walking tour with City Wonders definitely delivered on showing us the highlights of London. We saw so many of the most famous landmarks and sights in central London, from the Tower of London to Westminster Abbey. A highlight for us both was touring the Tower of London and it was great to have early entry since it can get quite crowded there, especially around the Crown Jewels. It was also great to have the experiences of doing the short boat ride on the Thames, seeing the changing of the guard, and the afternoon tea included in the tour rather than just walking from building to building. Our guide, Shabby, was quirky, knowledgeable, and friendly and she definitely made the history of the places we saw come alive. She was also quick to answer our questions when she could and give us additional tips for our time in London. If I had more limited time and had to choose from either the morning or afternoon portion of this tour, I would definitely choose the morning Best of Royal London as it includes the visit to Tower of London, river cruise, and Buckingham Palace. 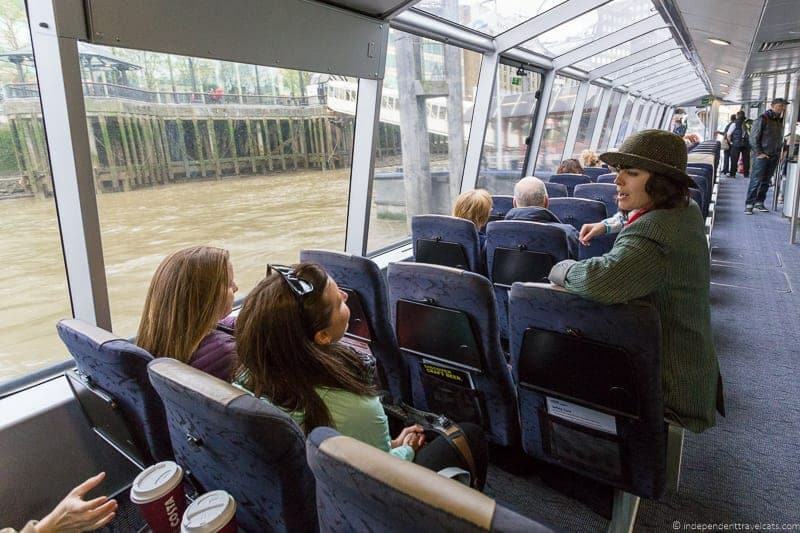 Overall, we both really enjoyed this tour and I think it is a great tour for any first-time visitor to London as it gives you a great overview of central London and a look at so many of London’s iconic attractions. I can’t wait to return to London to spend more time inside the Tower and do a guided tour inside Buckingham Palace! Have more than a day in London? Check out our 6 day London itinerary which includes a day-to-day London itinerary, transport tips, walking maps for each day, and money savings tips. Have you taken a London walking tour? As always, feel free to share you own tips and advice about walking tours in London. If you are planning a trip to London, feel free to ask us any questions about our own experience on this London walking tour or anything else related to visiting London. Hey, We are planning to go in a couple of months for a weekend and are looking for options ourselves. About the City Wonders tours, do you know how accessible it is for people in wheelchairs? Great review – I hope to get some free time to explore London when I’m there for WTM in November. Have never really done the tourist thing there, so this is a handy guide, thanks!